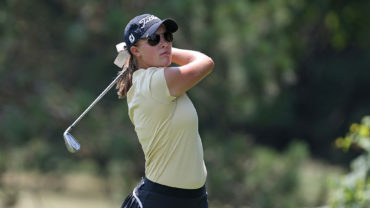 The University of Victoria Vikes lead the women’s division, while men’s division play was suspended at the Canadian University/College Championship due to darkness at Club de golf Val des Lacs in Ste-Sophie, Que. On the women’s side, the Vikes overtook the Université de Montréal Carabins, who led by three after the opening round on Tuesday. The contingent of Brynn Tomie of Bedford, N.S., Megan Woodland of Victoria, B.C., Emily Nicol of Kelowna, B.C., and Michaela Misener of Stanhope, P.E.I., combined to card a second round 9-over 222. The Vikes currently sit at 22-over 448 for the tournament and hold a six-stroke lead over the Carabins heading into the third round. Tomie leads the individual competition at 4-over 146 after a second round 1-over-par 72. She sits one stroke ahead of overnight co-leader Woodland heading into Thursday’s action. 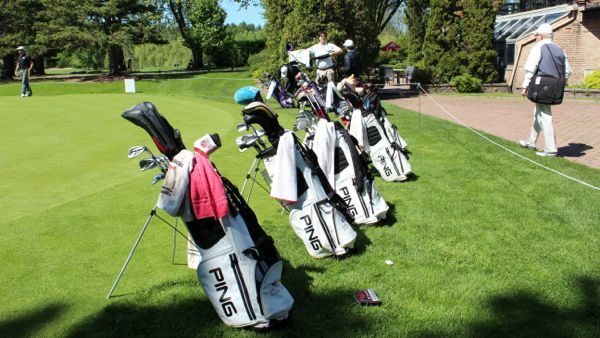 The Carabins posted a second round 18-over 231 to sit at 454 for the tournament, 14 strokes ahead of defending champions University of British Columbia (UBC) Thunderbirds who posted a second round 27-over 240. The University of Toronto Varsity Blues and University of Waterloo Warriors round out the top five respectively. Individually, Vikes standout Woodland carded a second round 5-over 75 to sit in second place at 5-over 147 for the tournament. Carabins’ Sabrina Sapone of Montréal sits in third after consecutive 3-over 74’s, while teammate Caroline Ciot of Brossard, Que., sits in fourth after a second round 6-over 77. UBC’s Haley Cameron of Kelowna, B.C., rounds out the top five at 10-over 152 for the tournament. On the men’s side, play was temporarily suspended at 5:54PM EDT due to unplayable course conditions after heavy rain rolled through the Ste-Sophie area. Play resumed at 7:08PM EDT but was suspended again at 8:37PM EDT due to darkness. The completion of the men’s second round will resume tomorrow at 7:30AM EDT. Any player with a completed scorecard can also expect to begin their third rounds at 7:30AM EDT. At the time of the suspension 21 players were left on course. 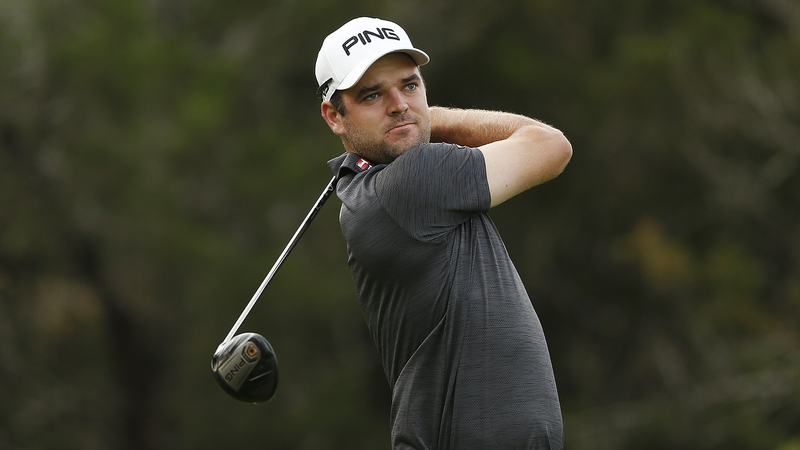 Currently, overnight leader Ugo Coussaud of Angoulème, France, holds the individual lead at 7-under 135 after a 2-under-par second round, while The University of British Columbia Thunderbirds sit unofficially in first at 10-over 578, one stroke ahead of Université Laval Rouge et Or.